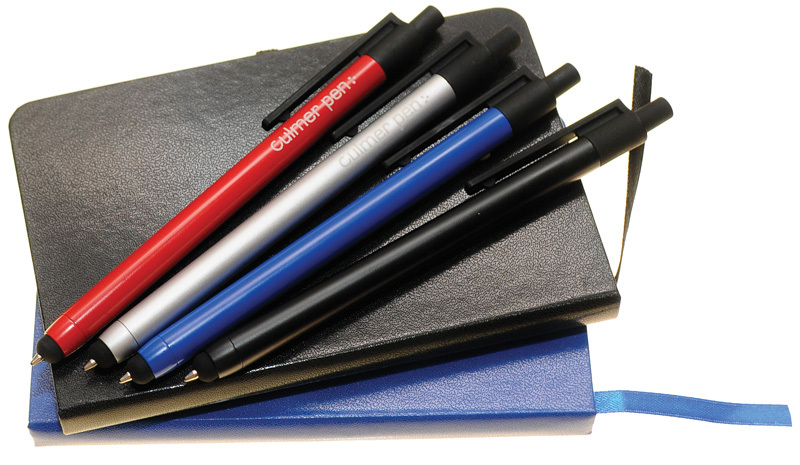 Set includes metal Clicky Ball Pen/Stylus and 3 ¾ x 5 ½ non-refillable, hard cover notebook in blue or black. 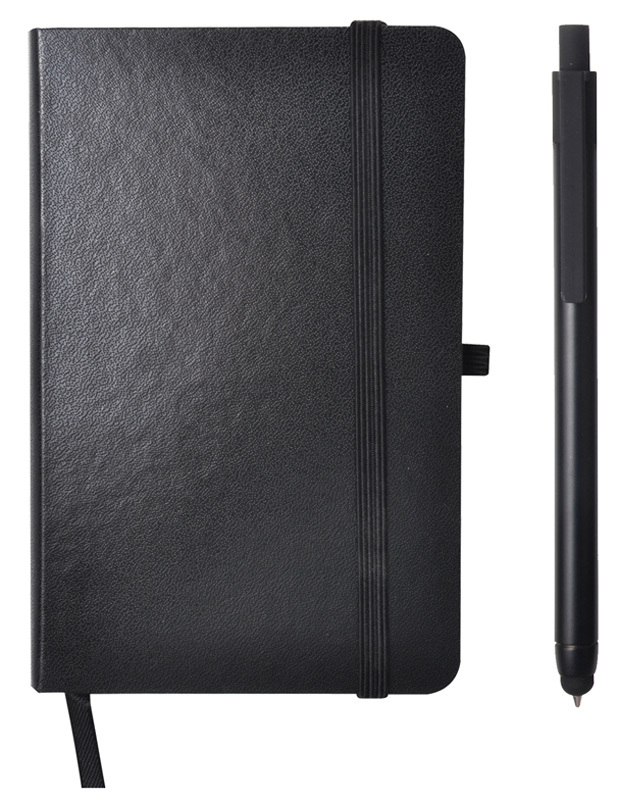 Notebook features 80 pages lined, acid-free paper, matching elastic closure & ribbon bookmark. Beautifully gift packaged as illustrated. Laser engraving on pen & debossing on notebook included. Colours: Black, Silver, Red, Blue pens. Black or Blue notebook only.